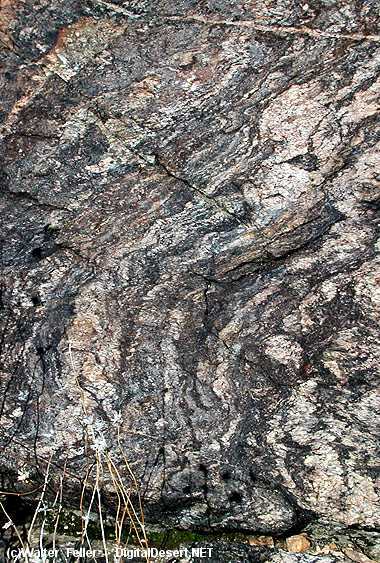 GNEISS - A coarse-grained metamorphic rock, composed of alternating light and dark bands, formed at very high temperatures and pressures. Pronounced "Nice". Pinto Gneiss in the Pleasant Valley, Joshua Tree National Park. Lichens growing on Pinto Gneiss in the Pleasant Valley, Joshua Tree National Park.